With many residents on vacation, leisure time activities move away from the cities to the coast: including the outdoor performance of well loved operas at Torre del Lago. 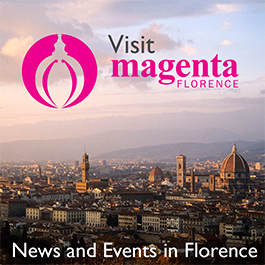 Every year crowds gather to be amazed by the wonder of the most renowned operas ever composed by Giacomo Puccini. The 63rd Puccini Festival is set in an open-air theater overlooking the enchantingly calm Lake Massaciuccoli, close to Puccini’s house in Torre del Lago. The sight is truly breathtaking and suited to be the backdrop of exciting and entertaining performances including La Bohème. 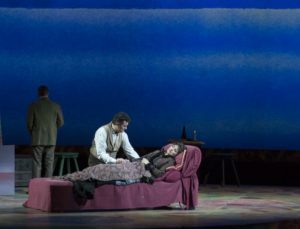 An ode to the old Parisian prospective artists from the 1800s who are poor yet happy, La Bohème (August 11) is above all the La Bohème is the beautiful yet painful love story involving four Paris bohemians that ends with a dramatic death. A charming story about a powerful princess who has captivated prince Calaf of China, Turandot is scheduled on August 12. Tosca, a Puccini piece that highlights the conflict between Italy and France in the 1800s, will be on stage August 10 and 19. Compositions featured in the festival that are not by Puccini include the Korean Gala (August 13), and Notre Dame de Paris (August 22, 23, 24) and La Voix Humaine (August 27). International guests present during the festival are the China National Opera House of Beijing which will be performing Madame Butterfly (August 18) and musicians from Moscow who will be closing the Puccini tribute with La Traviata (August 29) and La Bohème (August 30) the final two days. A café on the water, accessible by a bridge, is open to spectators during intermission. Although the view from the open air theater is sensational it is forbidden to take pictures or videos, strict policy asserts that cameras and camcorders will be confiscated until the end of the concert if found. Admission range from €19.50 – €159 and can be purchased online (www.puccinifestival.it), by phone, fax, email, or at the theater’s ticket office located outside of the open air theater’s second entrance on Via delle Torbiere up until the start of that night’s performance.